The original visor helmet, the Bern Watts Helmet is still delivering looks and performance. Utilising Bern’s premium liner with Boa technology and drop-in audio ready ear-pads and a thin ABS shell lined with EPS Foam to create a burly yet lightweight lid that meets certifications for both bike and snow. A summer liner may be purchased separately. 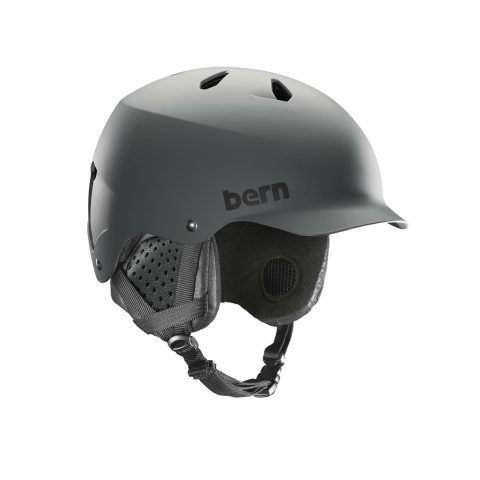 This helmet is available in matte grey (pictured) as well as a variety of other colours. ALL SEASON - Pick the model that best fits your style and customise your helmet with our range of seasonal upgrades.